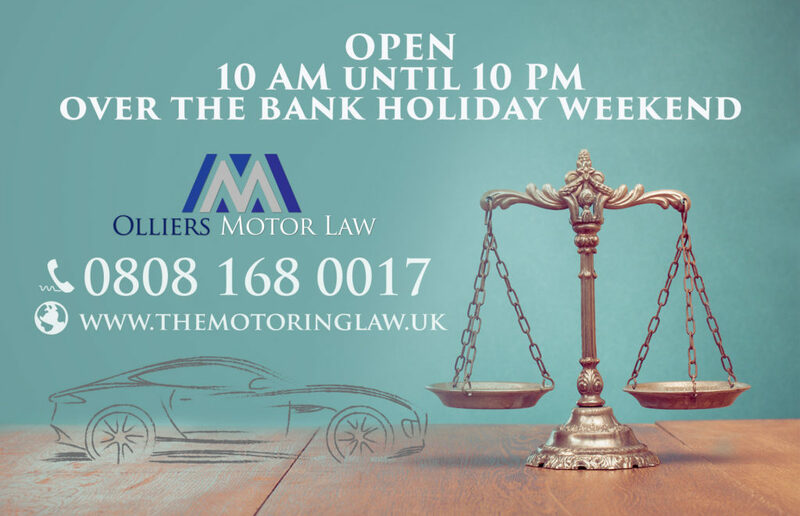 Arguably the biggest Bank Holiday of the year is approaching and we want you to know that Olliers Motor Law will remain open for the duration- including Bank Holiday Monday on 29 August. If you need to speak to an expert motoring lawyer then you can contact us and get help immediately as opposed to waiting until the Tuesday when normal business hours resume. Our Freephone number (0808 168 0017) will be manned from 10 AM until 10 PM over the bank holiday weekend and we aim to respond to all messages within 4 hours. As an alternative, you can submit a request for a call back via our contact form and one of our motoring lawyers will contact you soon afterwards. We appreciate that facing charges for any offence can be an intimidating situation so please do not hesitate to contact us. We are confident we can help you regain some peace of mind. Contact Expert Motor Offence Lawyer Neil Sargeant today!